All right guys, this is an exciting and scary day for me. 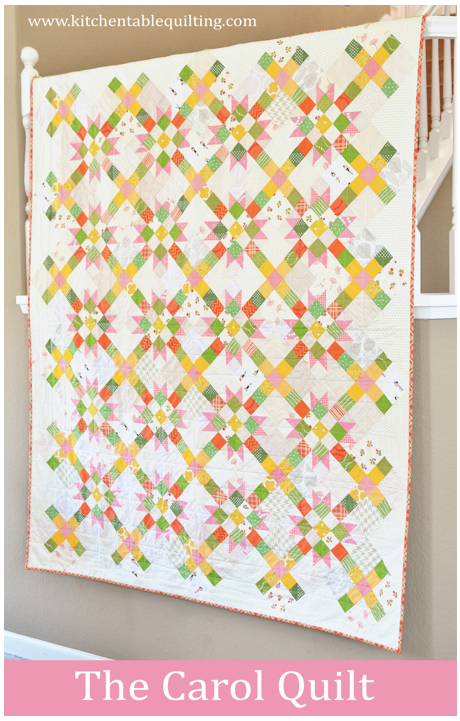 My first ever quilt pattern is available for purchase! I have written patterns for magazines and fabric manufacturers and I have done tutorials, but this is a whole new thing. The pattern is now available in my shop. Thanks to some wonderful and extremely helpful pattern testers, I feel like the pattern is ready for you. And I have images from the testers to share. I was so excited that Alison was willing to test the pattern for me. I admire her work so much and she always has such a unique perspective. She did not disappoint! 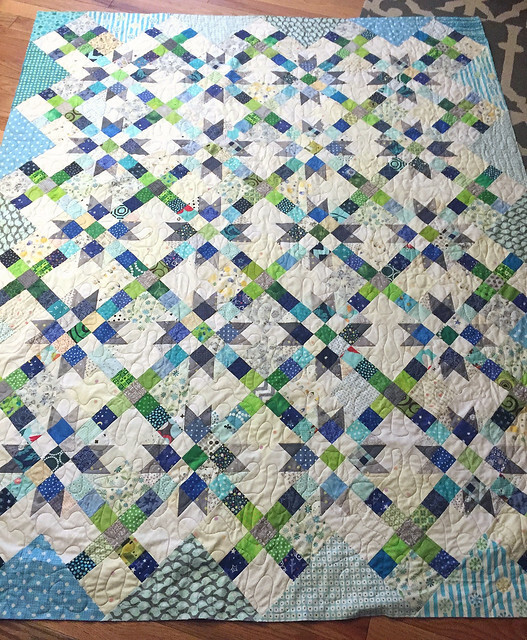 I love how pretty her version turned out and I love how she mixed up the colors on the side triangles. And the background fabric is gorgeous! Adrienne went nice and scrappy with a cooler color palette. These colors are right up my alley and I love the way they pop against her scrappy, low volume background. 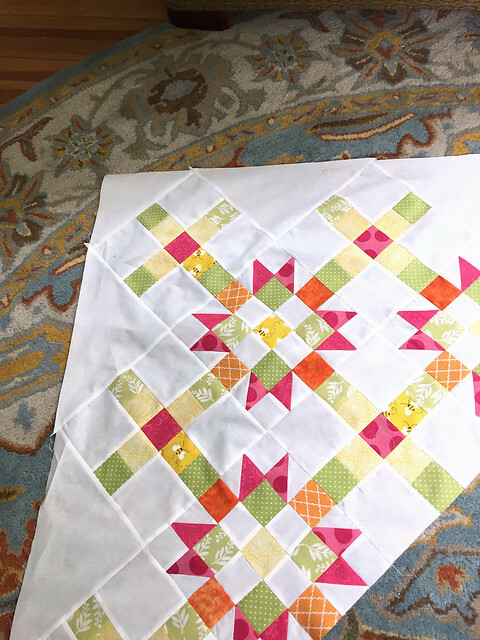 Dawn had a family emergency and didn't quite get her quilt finished, but she made up for it with a very helpful list of pattern edits. 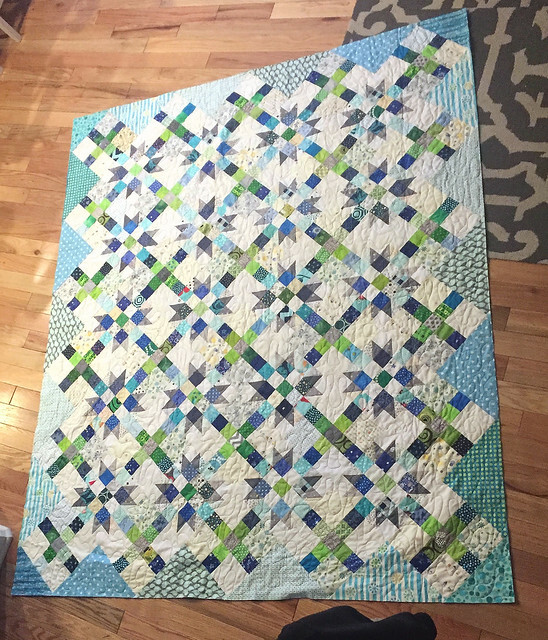 She sent me some in-progress shots and I will post photos of the finished quilt when she gets a chance to finish it up. She used similar colors to the pattern, just a little brighter. I love those happy pink triangles. Thanks so much to my pattern testers! Writing this pattern taught me A LOT and it gave me a whole new appreciation for quilt patterns. I hope you enjoy this one! Congratulations and best wishes for this big step. 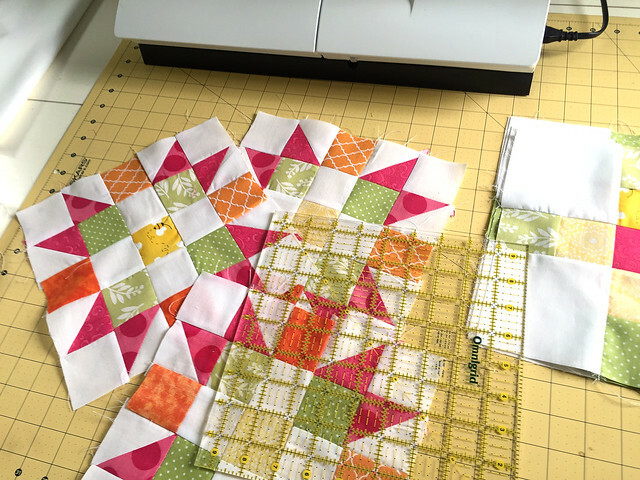 I love that you showed the projects by the pattern testers, too. The first thing that grabs me is always the color and it's so helpful to see different interpretations on the same design, even when they're also so pretty it would be hard to choose! Yeah for you! I am super impressed that your first pattern is on point! That's hard to get the graphics right! I love these big blocks. 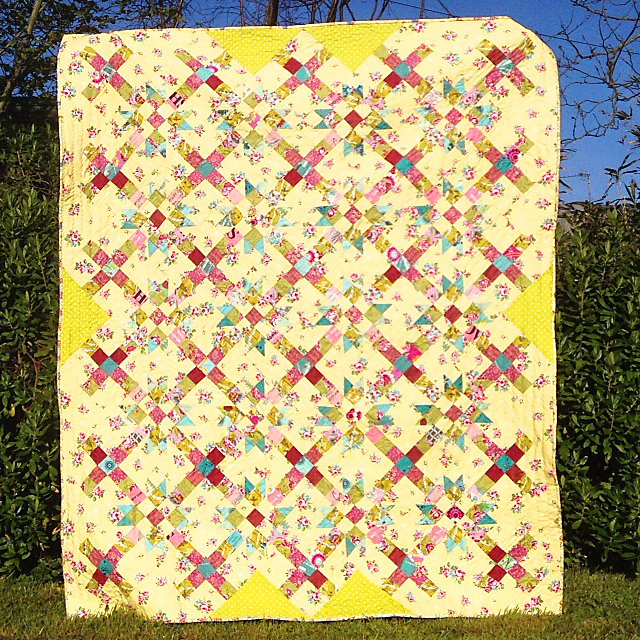 all of your testers made marvelous quilts with this pattern. I do not like family emergencies so I do hope Dawn can hover back down to earth without too much shake up. So great that she could offer some good advice. I love that too. yay! 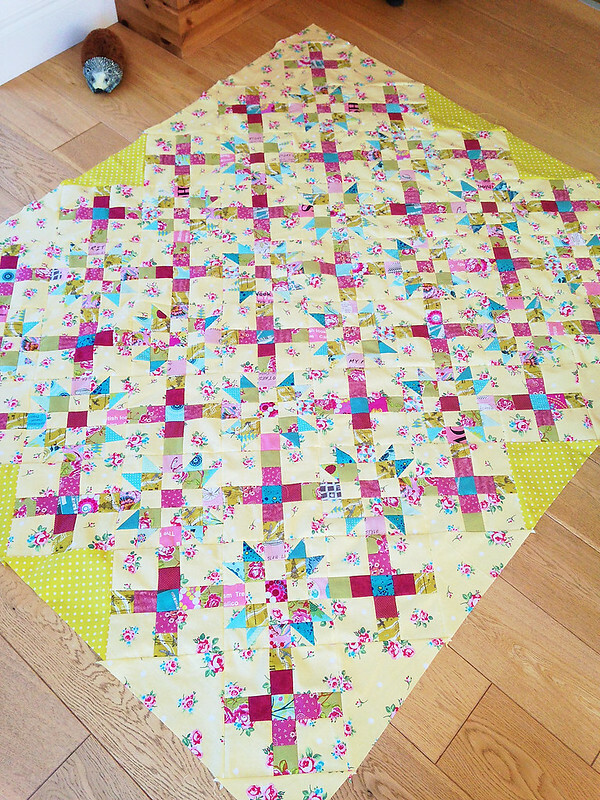 it is a beautiful pattern and I am going to go and buy it right now! I have loved this quilt pattern since I first way it on your blog. Just added the pattern to my way long to do list. But, I think I have the perfect fabric to make it. Thanks so much to you and your testers. Wow. Everyone did such a nice job. And I do love Dawn's all white background version. These look gorgeous! So thrilled for you, Erica!